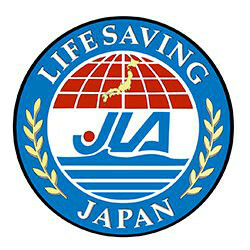 In 1978, the Surf Life Saving Association of Japan was established and joined World Life Saving as a full member. In 1983, the Japan Life Guard Association was founded and this organisation joined in 1985 World Life Saving, but with an associated member statute. In August of 1990, the Pan-Pacific Life Saving Championships were organised in Hiratsuka City. In April 1991, both organisations, Surf Life Saving of Japan and Japan Life Guard Association fused to form the Japan Life Saving Association, which was at that time a full member of World Life Saving. In June 1992, the Japan Life Saving Association organised the National and Interclub World Championships Rescue 92. This event was organised in the city of Shimoda. Although the professional system is not established for the activities of life saving in the aquatic environment in Japan, the lifesavers are acting on a part-time basis. Participation to the competitions and to promotional activities in the regions are committed by the life saving club activities of each area. As of today, 61 life saving clubs (36 local clubs and 25 university and high school clubs) and approximately 4,000 members are registered. The Japan Lifesaving Association puts its effort to extend the activities of lifesaving in Japan through education, competition, research, publicity and relation to overseas.